Hi everyone! 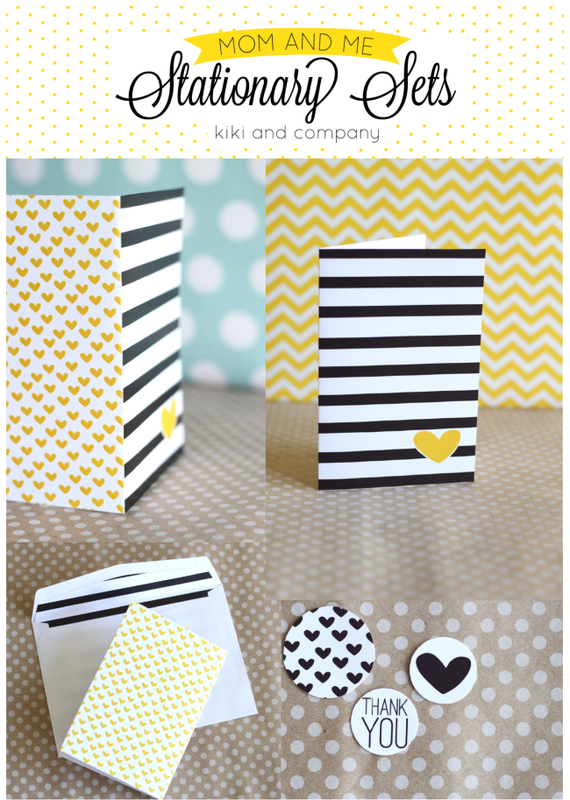 I’m Kiki from Kiki and Company and I’m so happy to be here again to share a fun new printable with you. I hope your summer has been amazing so far. I am SO enjoying the time I have had with my family and still looking forward to a few vacations we have left together. As we packed up our bags last week at Grandma and Grandpa’s house, I thought how nice it would be to have a card on hand to leave a thank you note. I didn’t have one, so as soon as I got home, I got to designing a few cards up and thought I’d share them with you too! Today I designed 2 cards for you that can be used for so many things…thank you, birthday, Hello notes, Thinking of You, Sorry notes, etc! 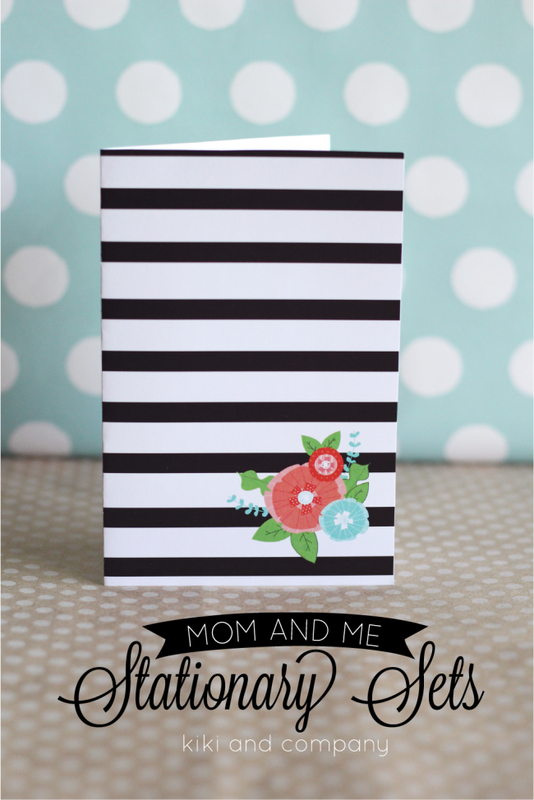 The first card is a Stripes and Floral Card. There is a 4×6 card and an envelope liner for a 5×7 card. 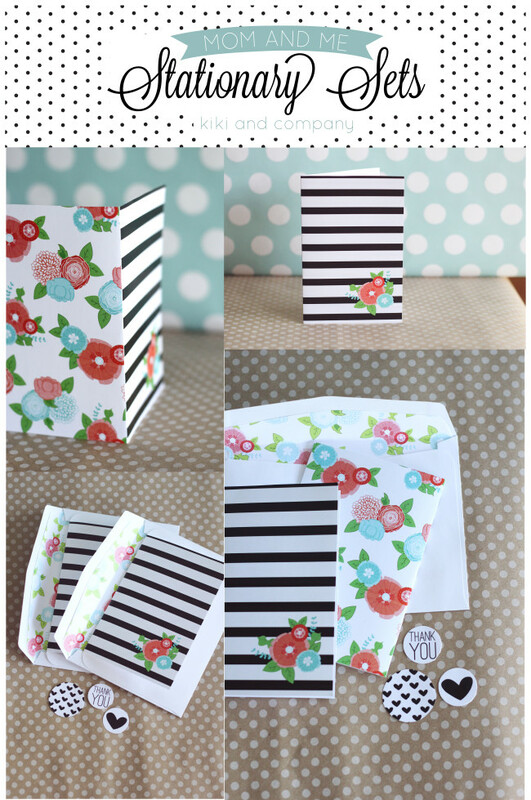 I designed the liner for a 5×7 envelope with a triangle flap, but it can be trimmed down to anything you need. There are also a few extras I added with each card. 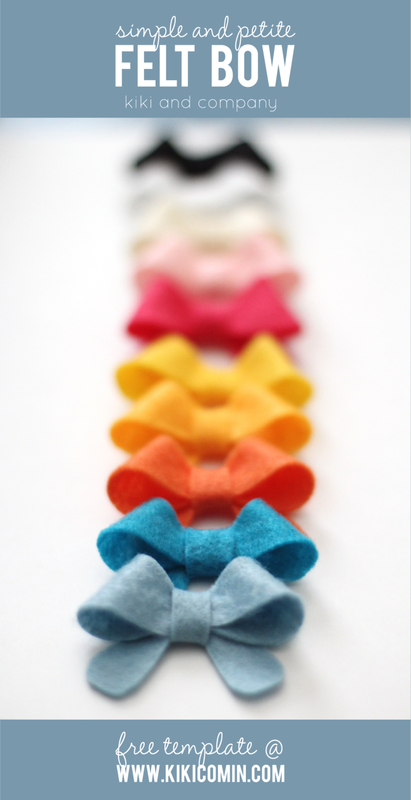 You can place them in the card, on the envelope or wherever else you can think up! 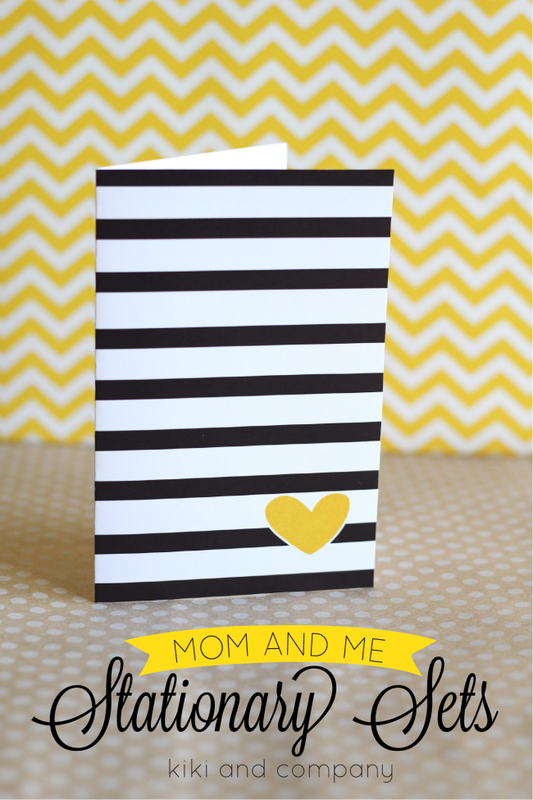 The second one is all about Stripes and Hearts…a sweet and simple card perfect for so many things. How fun and modern is this little card?! 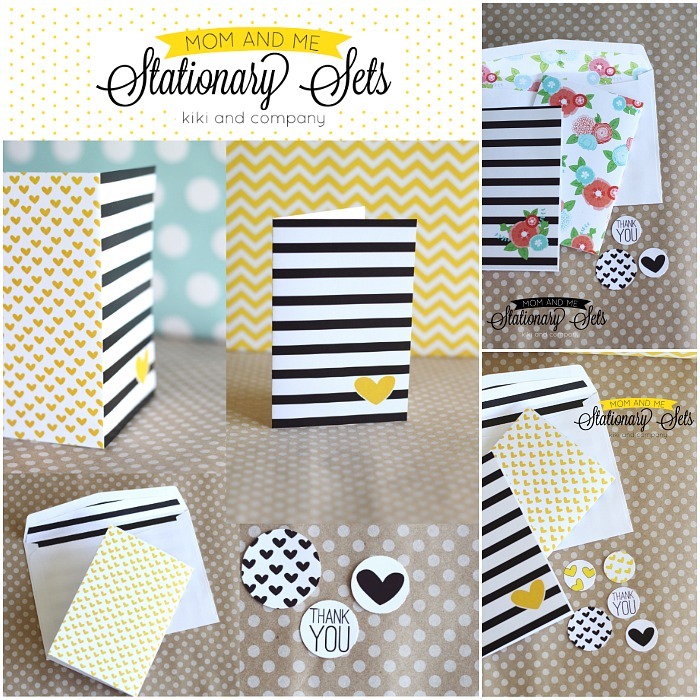 The black and white liner is perfect for many cards, but this card just pops in it! To get these sets together is really simple! 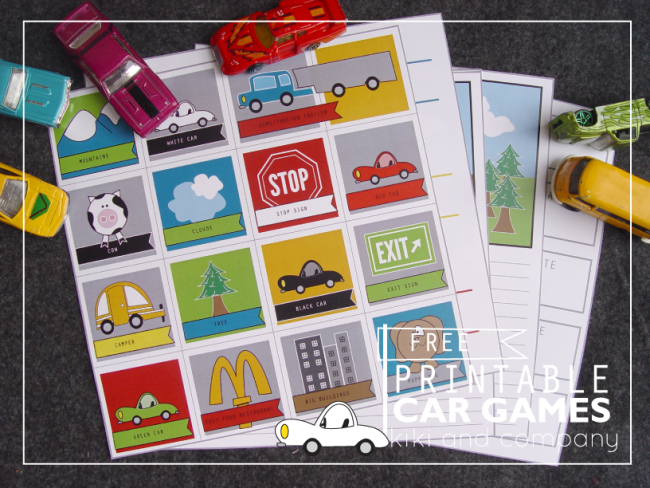 Download and Print free printables. Cut out the card, score down the center of the card and fold. Cut out the liner. Put it in the envelope and trim if you need to. 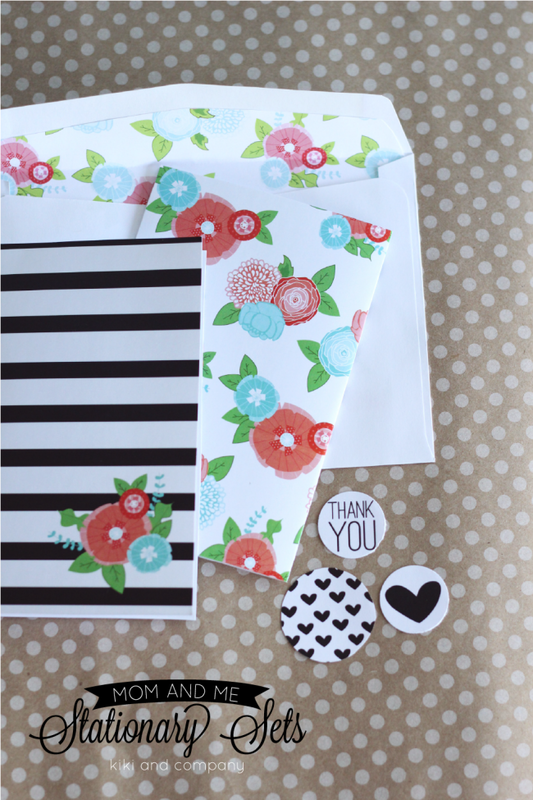 Use a spray adhesive or any other kind of glue to adhere the liner to the envelope. 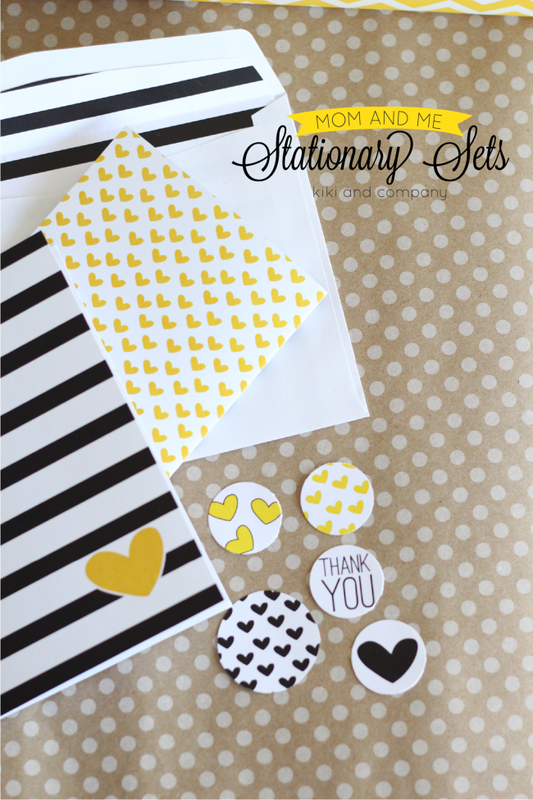 Cut out or punch out the extras and add to card, in the envelope or on the envelope! 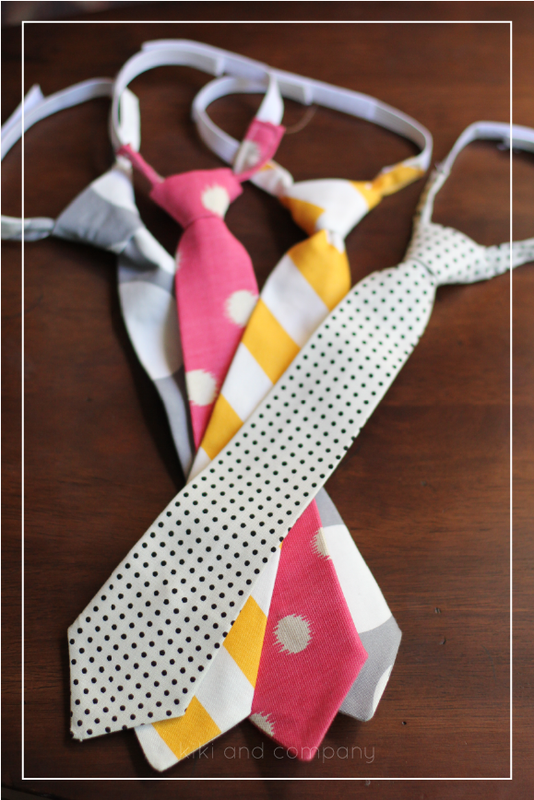 To give these sweet cards as a gift to others, simply follow the directions above and then tie them together with some twine. I added the cards to a box and it makes the sweetest gift. 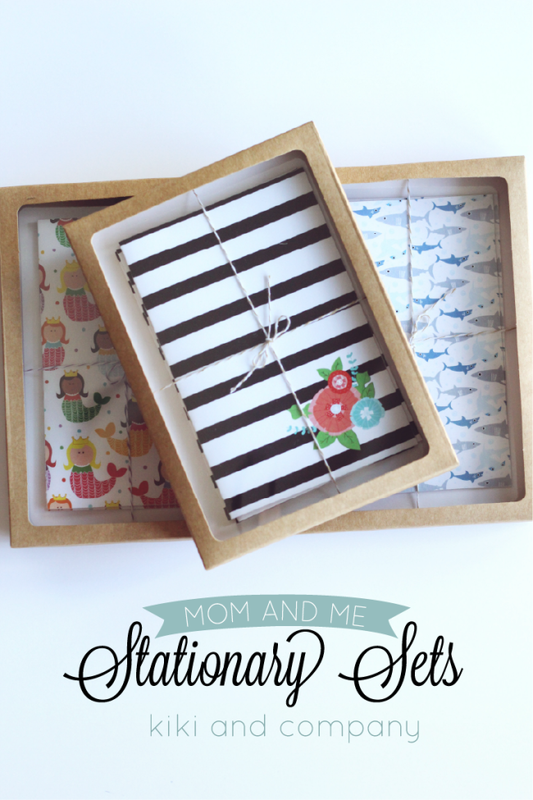 You probably wondered why I called it “Mom and Me Stationary Sets”…well, I also have 2 other cards for you at Kiki and Company today… for the kiddos in your life! 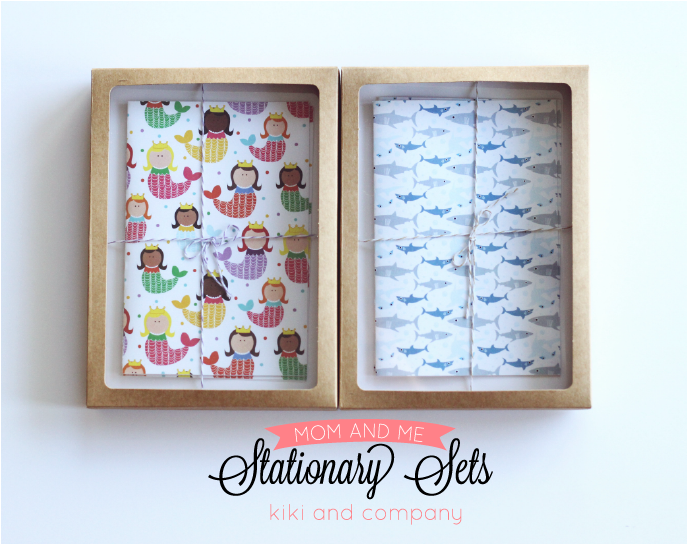 The set includes a Mermaid and Hearts card for the girls and Sharks for the boys. 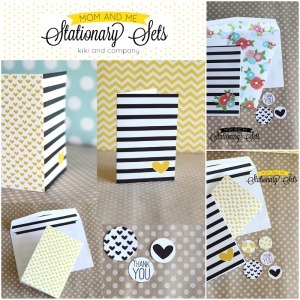 I really don’t think there is anything as fun than teaching you kiddos the art of writing and sending a handwritten note…so why not practice on some sweet stationary?! You can visit me HERE to find them! I hope your July is fantastic! Thanks for having me, Desirée! Wow! They look wonderful!! Thank you so much, I love printables!